We could post about our favorite handmade shops for kids every day on Small Fry, there is such amazing talent out there. Here are some of our current favorites! 1 // Go Make Play has awesome kits perfect for at-home craft projects. Robots, zen gardens, dolls and more! 2 // Say Hello must have made this hanging just for us, we can never turn down our “dream big” motto! Even better, they are ready to hang, or you can paint them to match your room’s decor. 3 // We love these glitter snap clips by Jellabee! Glitter, so every tiny girl will swoon, but a simple understated shape that moms will love. 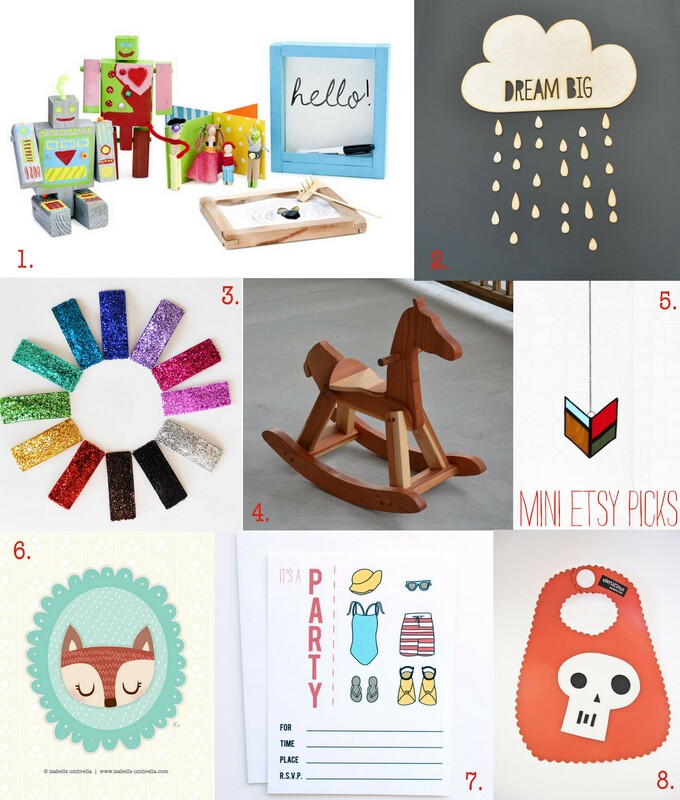 4 // Little Giraffe is one of those handmade shops you have to see in person to believe. Absolute gorgeous craftmanship that is definitely a dying art. This rocking horse is an instant family heirloom! 5 // How amazing would these stained glass Glass By Lisa chevron hangings be in a cluster over a crib? The colored light show would be amazing! 6 // Isabell’s Umbrella prints, calendars, and cards are what every nursery’s dreams are made of. So darling and whimsical! 7 // Lily Jane Stationery makes the most amazing birthday, party, and shower fill-in-the-blank invitation cards. The design is so fresh and clean, a world of difference from the grocery store packages. 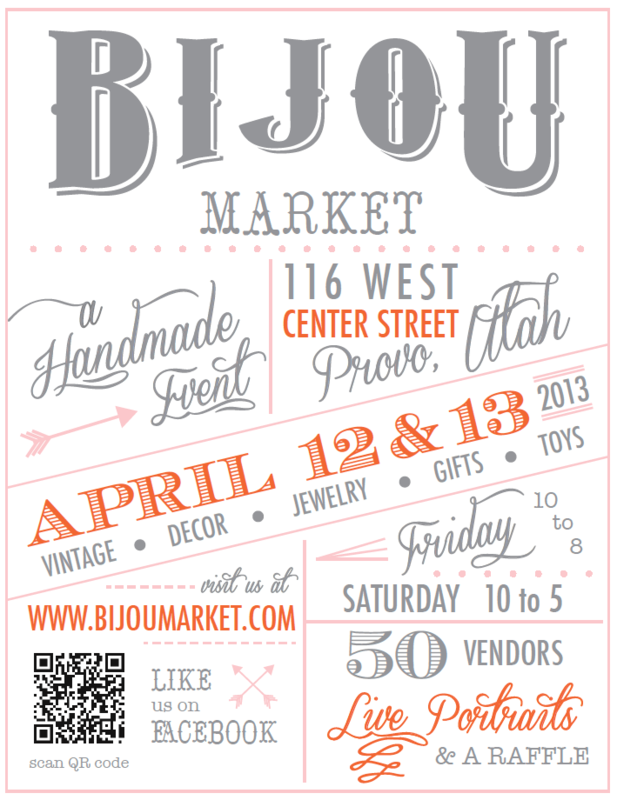 All these items and about 45 more shops can be found at Bijou Market next weekend! You lucky locals stop by, you won’t regret it! RSVP via Facebook here. I love, love, LOVE the Bijou Market! Seriously, I’m counting down the days. Love getting stuff off etsy, they’re unique and nice, thanks for sharing! Great picks! Although I am currently loving this bunny print. What do you think? so sad i’m not closer to SLC for this!